NU5G, Jon, at his station in Henderson. 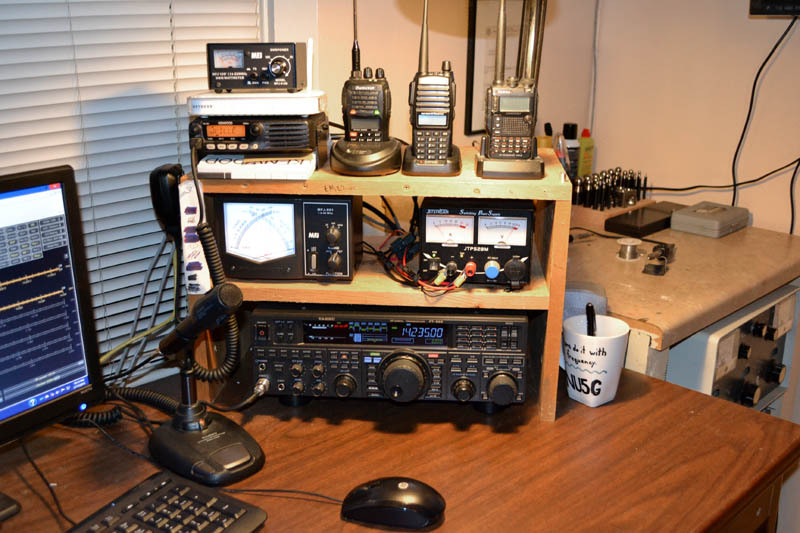 For this month's featured shack, we peek in on NU5G's station. 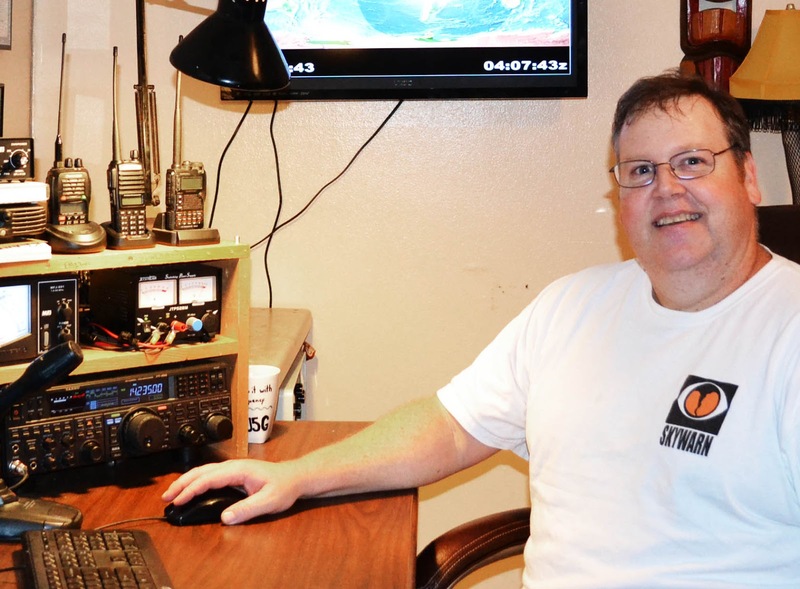 Although Jon is a relative late comer to ham radio, what he missed out on in time, he's made up for with an avid spirit of exploration. Jon tells the story best in his own words. I have always had a passion for electronics and when Christy and I got married, I got a formal introduction to Ham Radio. Her family was full of heavy hitters in Ham. Her dad, Gerald (AD5Z), got me hooked and then has been my Elmer when I was lost and scratching my head. Christy’s Grandmother, Nell (WA5JOC), embodied the spirt of ham like no other, serving nearly three decades in the Ladies Auxiliary at Henderson Memorial Hospital. Lynn Roy (W5LD) was old school Ham radio. He helped start and operate KGRI here in town, was the Roy in Roy & Siler Radio Shack and an owner of Lynn Roy-Wayne Freeman Co. which sold and serviced Air Conditioning, Radios, and Televisions. I have a lot to live up to in order to carry on the torch. assigned KF5BIT. In August of 2009, I passed the General Element in Longview, applied for and won the vanity call W5BIT. I worked on the Extra Class Element until March 2010 when I passed again in Longview. In October 2010, I submitted for another vanity and got my second choice NU5G. Since 2009 I have jumped around the hobby trying my hand at almost everything. HF and DX are by far my favorite operatiing choices ham Radio. I have managed to get the DXCC and DXCC Phone (same thing right?) But, everyone that knows me will tell you that Skywarn is my true passion. My shack is currently equipped with a Kenwood TM-281 and a Yaesu FT-950. Also in the shack is an FT-101zd, which is the first HF rig used once I got my ticket. The FT-101zd was given to Gerald from the New Orleans PD as part of a stash of radio gear confiscated in a drug seizing operation and he passed it along to me. My pride and joy is the 2KW amp from Brad Thompson Industries (BTI) that was custom built for Lynn in 1969. The tube in this amp is a 3-1000z and is about diameter of a 2-liter bottle. 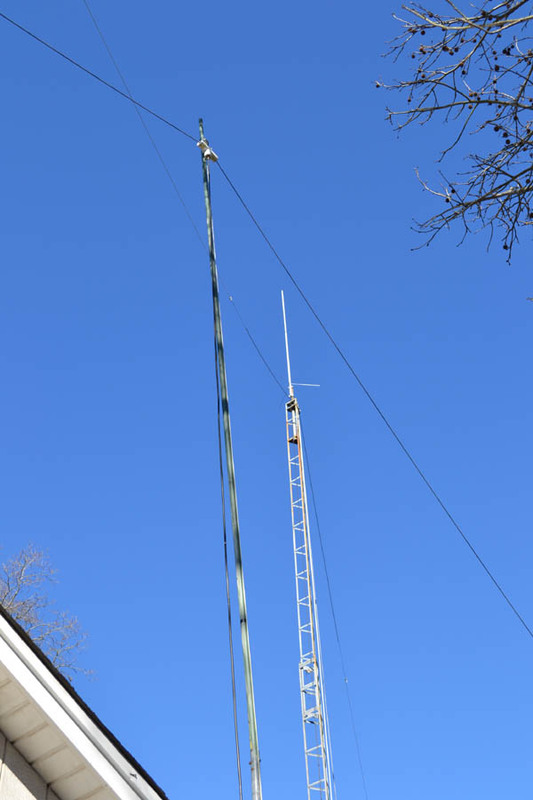 My tower, also donated from Gerald, is a 55’ crank up from Tri-EX Tower Company. It supports my double bazooka for 20m and a Diamond X200A dual band 2m/70cm. I have a push-up pole that holds my 80m double bazooka apex at a height of 35’. 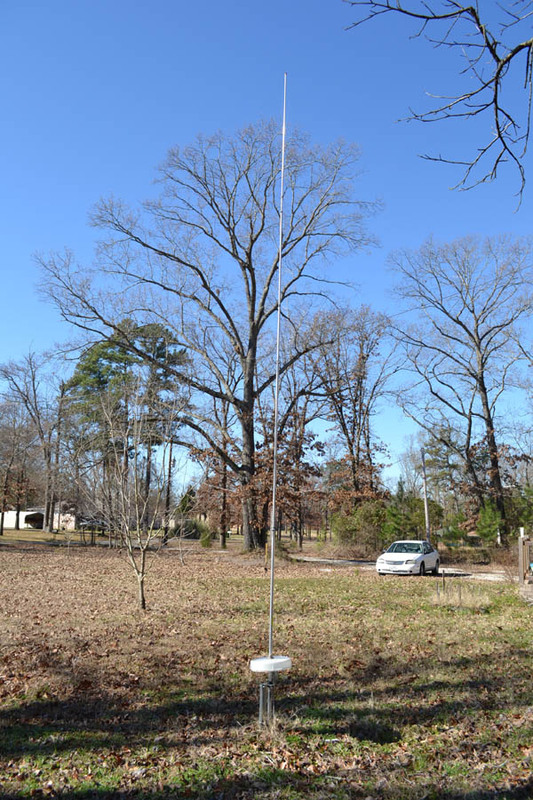 This jewel of antenna was made by KZ5S in 2009. I also have a Hy-gain AV-18VS 10-80 meter vertical in the front yard. Fortunate earth-ground conditions at the shack allow me to run this with two 8’ ground rods and no radials.